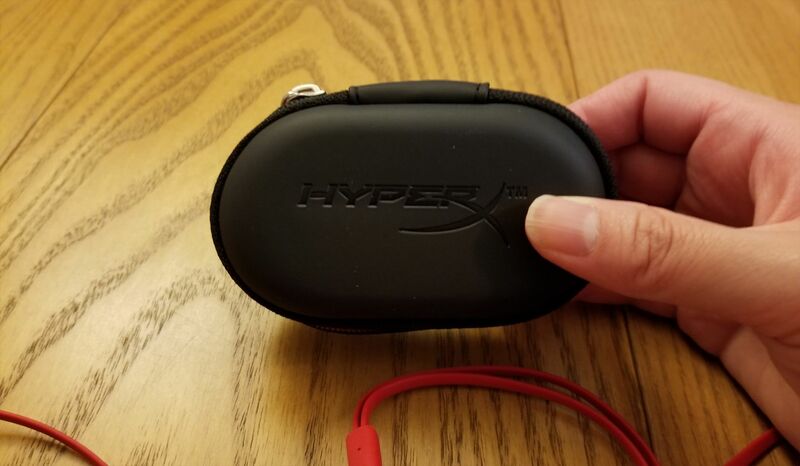 The HyperX Cloud Earbuds address a niche in the market: people who want gaming peripherals for mobile devices. 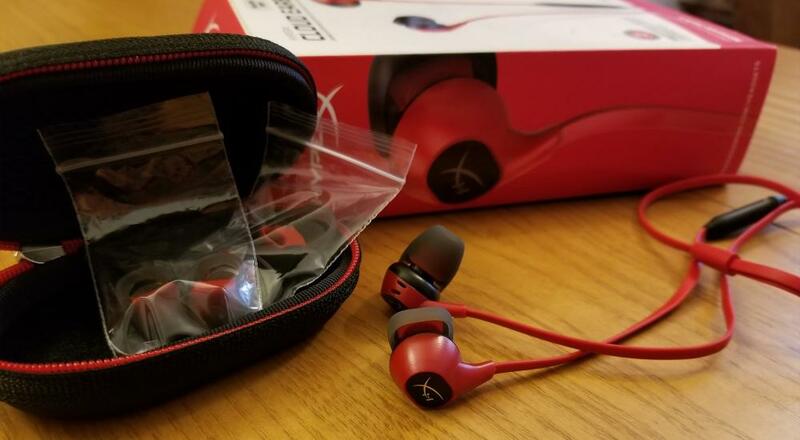 While targeted towards Switch and phone/tablet gaming, these earbuds also work in PS4 controllers and any other device that has a 3.5mm CTIA standard connector. The Cloud Earbuds are minimalist in their design, featuring an in-line microphone with a multi-function button and interchangeable ear tips. The cabling is flat (as opposed to rounded) and silicone-like in texture. The whole ensemble is signature HyperX red with a black and white logo printed on each earbud’s exterior. They also come with a hefty, but small, black carrying case that has an inner pocket. While I don’t own a Switch, I used this peripheral extensively with my phone to make calls and play music/mobile games as well as with my PS4. On the positive side of things, the sound and microphone quality is above most of the other earbud/microphone combinations I’ve sampled before. The sound is clear with a good relative volume and the microphone is crisp. The multi-function button gets the job done and it’s easy to answer calls, pause music, and skip music tracks with it. Page created in 0.7098 seconds.